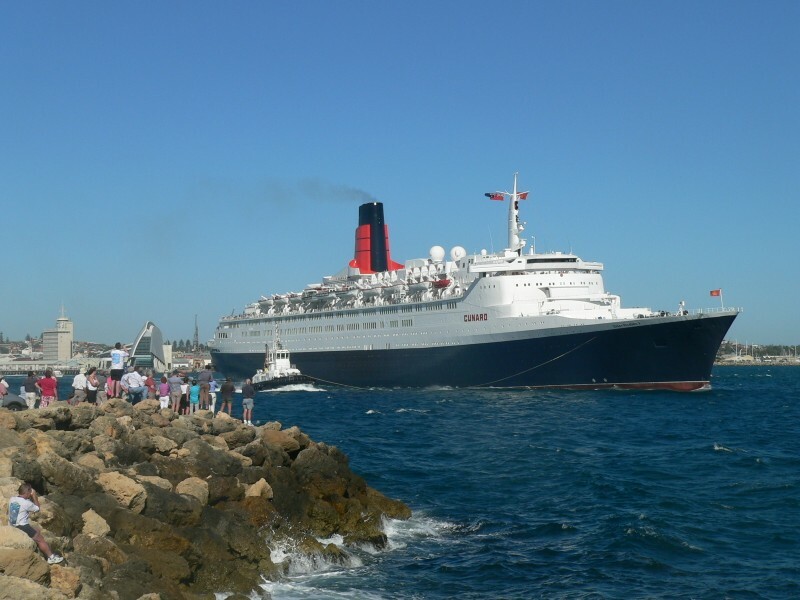 The QE2 leaving the port of Fremantle West AUstralia on the 17.2 05 at 4pm . Looks like the QE2 is pulling the tug, not vice versa...what's with that? Or is the tug just acting as a fender in case the QE2 bumps against the rocks???? Itwo questions about the shot: was your FZ wearing a lens hood? and do you use PP after saving the picture on your computer. If you would like to see what the shot can look like let me know. No lens hood, shot in Auto mode,only resizing done,please explain what you mean by PP :-? Your picture is washed out because the FZ needs a hood on "all" the time except for flash. It is not just a sunshade, it protects the lens from ambient light, which causes this washed out look. The camera should have the exposure bias set to (-1/3) which improves saturation of color. PP is post-processing software, which I used to correct the situation. Thanks for the tip. Many of myphotos too have the overexposed look, I now understand why. Its a nice shot of a Grand Lady. i was there so i know that the colour of the photo is right,but thanks for the suggestion anyways.